What do you, as an event planner, have in common with active members of the military, firefighters, airline pilots and police officers? You are in one of the top five most stressful jobs in the U.S. Yes, really! What else do these professions have in common? None of these jobs follows the typical 9-to-5, Monday-through-Friday workweek, which makes it more challenging to eat healthy, exercise, get enough sleep and maintain social interaction, all of which are important to long-term well-being. 1. Go for a walk. The biggest barriers to regular exercise are time, convenience and motivation. Walking is the best exercise for those with an erratic schedule who need a quick endorphin boost to combat stress, because it’s easy and convenient. You don’t need special equipment, you don’t need special training, you can do it alone or with others, and you can do it almost anywhere. 2. Be grateful. There are good reasons for the recent buzz about gratitude and mindfulness. Scientific data shows that people who actively cultivate gratitude have lower blood pressure, have stronger immune systems, are more optimistic and joyful, and are less isolated and lonely. Practicing gratitude is also easy. Take out a piece of paper — yes, step away from your computer — and write down three things you are grateful for. Once you have created your list, put it where you can see it in your work space. When you feel yourself getting stressed, take a quick glance and reread your list (out loud if you are able to). You will be amazed at how quickly your mood improves. 3. Phone a friend. Take a few minutes to call a friend. Although texts, emails and social media posts are nice, nothing can replace the sound of a friend’s voice. Some people are reluctant to do this exercise because they don’t want to “bother” someone else. The beautiful thing about reaching out and phoning a friend is that you not only help yourself, you help your friend as well. Recent studies show we are becoming more isolated as a society and that this lack of social connection is a greater detriment to health than obesity, smoking and high blood pressure. So call a friend or family member, and say you are simply calling to let them know they are important to you and they were on your mind. You can schedule a longer conversation for a later time if you wish, but part of the reason we tend to not reach out to call someone (or to pick up the phone when we are called) is that we don’t necessarily want to get into a long conversation. So keep it short. 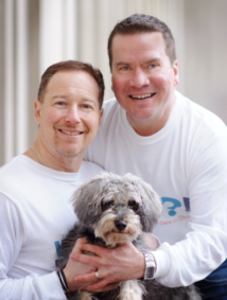 Paul Sherman (left) and David Garten are co-founders of Ask What Matters? 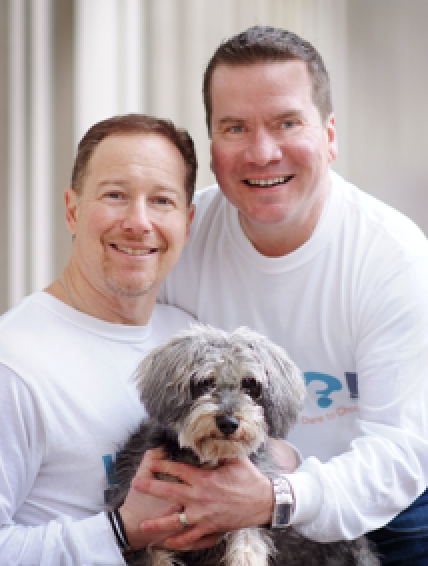 !, a coaching and training company that focuses on well-being. If you are attending CDForum 2018 in Huntington Beach, Calif., Nov. 27-30, you can take part in one of their one-hour Jumpstart Workshops to learn more antidotes to stress.